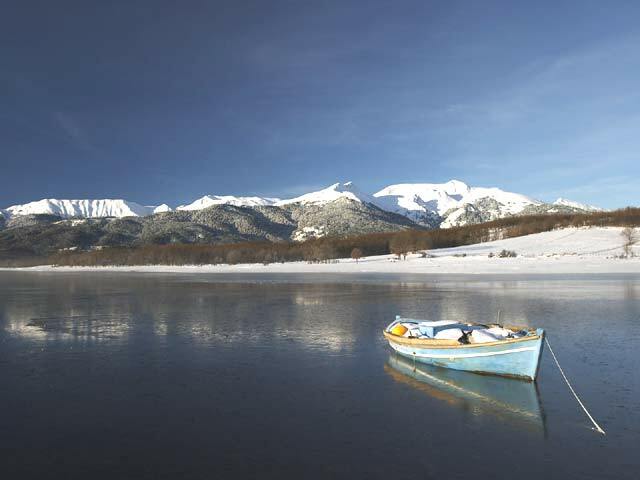 Plastira or Tavropos lake is with no doubt a treasure for Agrafa. The tranquil waters of this lake offer the opportunity for action-packed holidays to all visitors. 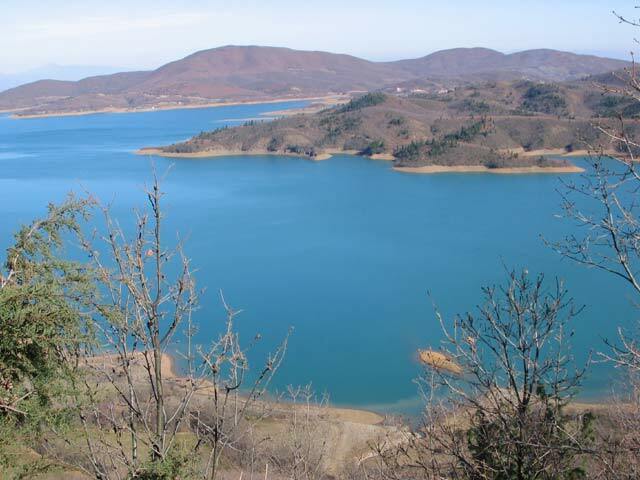 The lake is situated 25 km westwards of Karditsa town, in 1000 m. altitude. It is an artificial lake in the plateau of Nevropolis, after the closure of Megdovas, a tributary of Aheloos river. There are two alternative paths to get to the lake, both passing through beautiful villages of Karditsa. Each one of them impresses with the natural beauties and the remarkable historical route. The tour will definitely fill you with unique pictures of the Thessaly plain. You will explore picturesque villages such as: the Metropolis with the Hydroelectric station of N. Plastiras, the Moshato with the magnificent view and the tourists infrastructures, the Tsardaki, a small village with unique traditional recipes. Just 3 km from Tsardaki is Lampero Beach, a place that all lake travelers should visit. Continuing your tour around the lake you will get to the beautiful village of Kastania, which is built in a verdurous location. Morfovouni or Vounesi, as it was initially called, impresses every visitor. The Thessalic plain lies right in front of the village, while westwards it is surrounded by a beautiful chestnut forest. 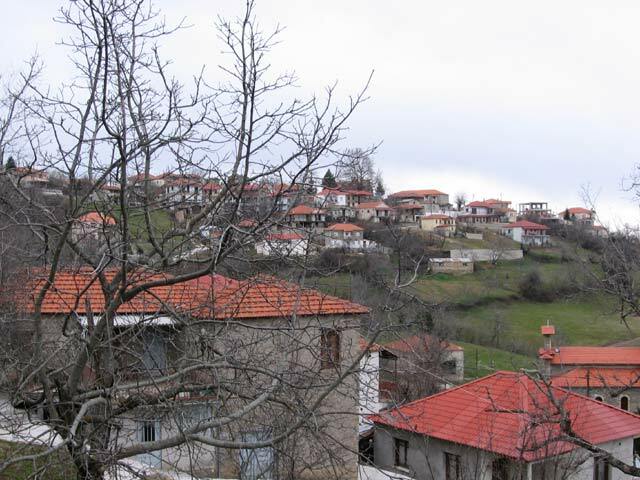 It is one of the biggest villages in the hilly Karditsa, built on the slopes of Agrafa mountains. Mesenikolas village impresses with its traditional architecture. Stone-built mansions, two story residences with tiled roofs and narrow cobblestone pavements create a landscape ideal for long walks. People in Krioneri are extremely hospitable. They often offer delicious and fresh vegetables. 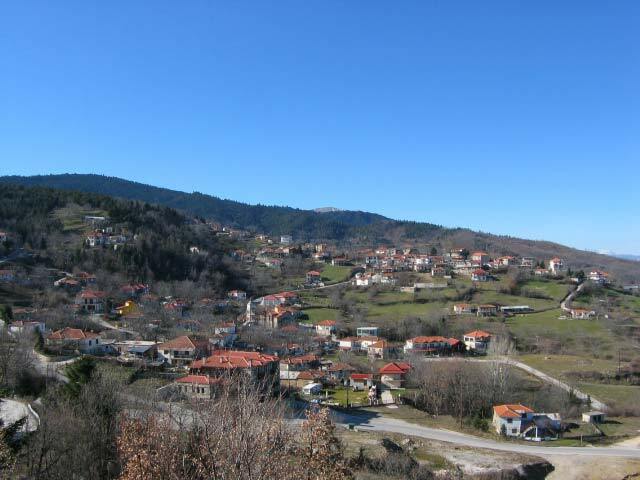 Karasia village offers magnificent view to Kerasiotis river and the traditional windmills. What is really beautiful in this location, is the panoramic view to Plastira lake. The Kalivia Pezoulas village is a tourist resort with modern infrastructures that satisfy all preferences. Neraida is a lakeside village with long history and natural beauties. It is built in a verdurous location, while the view to the lake and the Thessalic plain is magnificent. Neohori is a small village with probably the best view to the lake and all the tourist infrastructures for a pleasant stay. Nikolaos Plastiras was the one to conceive the idea of creating this lake, when he was having his vacations in Nevropolis. It is said that he conceived the idea of creating a tourist resort in location “alonia” Pezoulas and in “Kakavakia” as he was looking at the ground. This would be possible if he constructed a barrier. The closure of Megdovas tributary and the diversion of the water to the Thessalic plain, would cause production of energy and give life to the plain, which suffered from water famine. 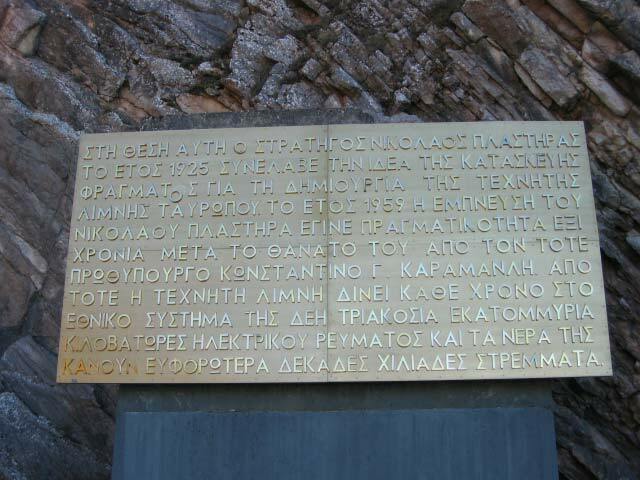 In 1927 Nikolaos Plastiras visited the region twice again, but he was not alone. He had two scientists with him who wrote a report about the region. A secondary report followed in 1932 about the irrigative projects. The German possession that followed brought a lot of evils in the region. But after the liberation of our country, the matter was in the front line once again. Eventually it was included in the 1951 technical program. In 1955 the prime Minister K. Karamanlis inaugurated the project of Megdovas in Vlasdo the current Moshato, which was officially completed in 1959. 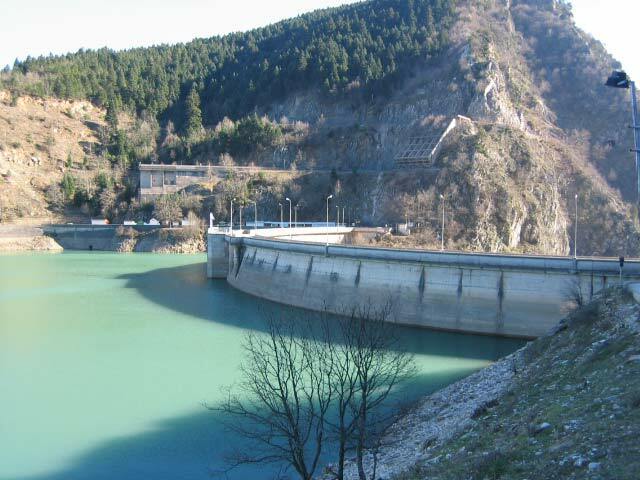 Today, Plastira lake is a source of life for the whole region of Karditsa, as it supplies many villages with water. Moreover the tourist utilization of the lakeside area has brought financial robustness to the prefecture. From the late 80’s Karditsa and the surrounding villages have started attracting many tourists, while the lake is in the center of this attraction. It is estimated that more than 120.000 people visit it every year. The natural surrounding area and the dense vegetation attract the lovers of climbing, mountain trekking and hiking. Plastira lake has its own ecosystem. The depth is not the same everywhere. This has got to do with the region anaglyph before it was covered with water. The maximum depth is 60 m, the maximum width is 4 km, while the maximum length is 14 km. Many species of fish live inside the lake. You will find eels, lavrakia, grivadia, petaloudes, koregonous, aspropsara and trouts. In the lakeside area you will see many bird species such as erodios, mavrokota, gulls, and less frequently voutihtaria and cormorants. The lake is the ideal place for the lovers of exercising and nature. For those wanting to enjoy the water they can try canoeing, fishing or swimming in Kalivia Pezoulas. There is also the possibility for riding or mountaineering. For the most venturesome of you, Parapente and sailplane are the ideal way to exercise. The lovers of climbing can choose amongst a wide variety of mountain crests. Voutsikaki, Karvasaras, Templa and Zygogiannaika are a real challenge. The ambulatory routes will offer you a unique experience.